Last month, we had our first look at the massive*Transformers Super Bumblebee thanks to the official Transformers Russia social media page. 2005 Boards Member*Rookbartley not only spotted the toy in US retail (at*Kohls in Ft. Wayne, Indiana for $49.99), but also bought one to give us a good look. The toy in question is a heavy retool of the RID Super Bumblebee. Much of the lower half of the robot body remains the same whereas the upper body is tweaked to give his Evergreen look. Speaking of which, the toy is actually not advertised as Cyberverse as fans originally &#187; Continue Reading. 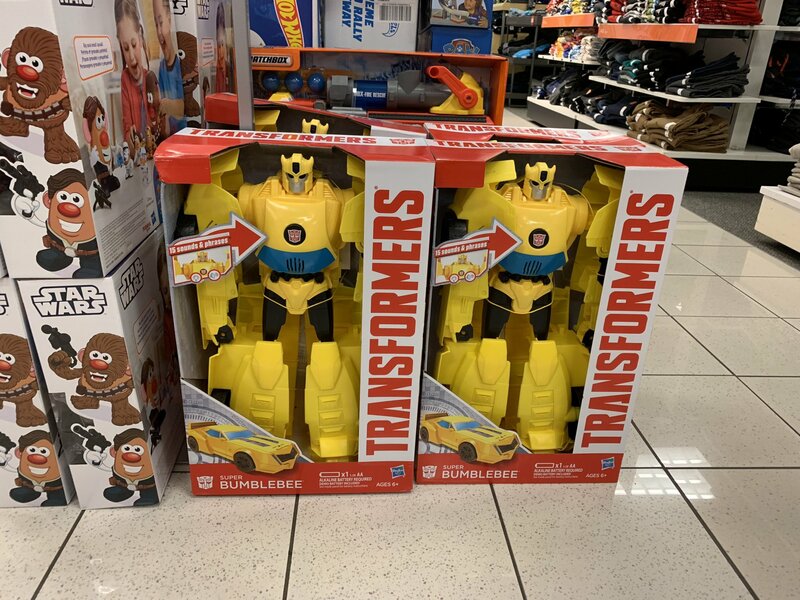 The post Transformers Evergreen Super Bumblebee Spotted At US Retail appeared first on Transformer World 2005 - TFW2005.COM.